No-one likes feeling that they've been ripped off and there's nothing quite like that feeling to put a great big dent into the holiday spirit. In the worst case scenarios it can put an even bigger dint into personal savings. Whilst it's almost impossible to entirely obliterate dodgy practices, there is legislation in place to protect consumers and it pays to know what your rights are and how to go about protecting them should you feel you have been ripped off. It also pays to apply some common sense in trying to ensure it doesn't happen in the first place. Are my rights as a consumer protected while I am in Tenerife? Yes. As an EU citizen your rights as a consumer are protected regardless of where you travel within the EU. 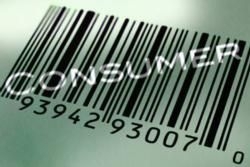 As a consumer you have the basic right to protection against risks to your health, safety and economic interests and the right to help with resolution of disputes in which you feel those rights have been breached. What should I do if I feel I have been ripped off? The first thing to do if you have a shop complaint in Tenerife is to ask for the "Hoja de Reclamaciones" which is essentially the Customer Complaints book. Every shop is required by law to have one and to have their full name, address, telephone number and CIF (business registration) number available or already on the form. If it isn't already there, make sure you put it on the form. Fill out the form as fully as you can detailing exactly what injustice you feel has been made. You will be given the top copy which you should take along to the nearest centre for consumer advice along with your receipt from the shop, your copy of the credit card transaction (where applicable), your passport and the product over which you are in dispute. Where can I find consumer advice in Tenerife? There are branches of the Oficina de Información al Consumidor (Consumer Information Office) all over Tenerife and they are the consumer's equivalent of the Citizen's Advice Bureau in Tenerife. The Oficina de Información al Consumidor will act as arbitrator between you and the business you feel has ripped you off. How can I avoid being ripped off in the first place? The area of retail most susceptible to fraudulent dealings is that of electronics. Being aware of the unscrupulous practices that exist and being well researched before you buy will help you to avoid becoming a victim of malpractice. Some retail premises lure you inside with promises of unbelievable bargains in video cameras and other electronic goods. If a bargain looks too good to be true, it's probably because it is! Once inside, the retailer may tell you that model is sold out and then 'pressure' sell you other goods at inflated prices. Always check your credit card transaction before you enter your PIN or sign the slip to ensure that the price you have been quoted is the price that has been deducted from your card. Some dealers have been known to take more on the credit card than the cost of your purchase. If you intend buying while you are on holiday in Tenerife, do your research at home first so you know what you are, and are not, prepared to pay. In the current economic crisis where the Euro is much stronger than sterling, many electronic goods are actually better value in the UK. Don't make impulse purchases.